Smoky Mountain Living celebrates the Southern Appalachians’ people, culture, history, music, art, crafts and special places in six issues each year. From the Blue Ridge Parkway’s scenic curves to the Great Smoky Mountains National Park’s wild backcountry, from the Cherokee to the Cohutta National Forest, from small town treasures to the urban centers of Asheville and Knoxville, Smoky Mountain Living is dedicated to our region. 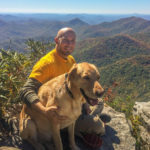 Smoky Mountain Living relies on the best writers and photographers to bring our region’s stories to a loyal audience of those who are lucky enough to live here and those who want to stay in touch with where they love.